Aluminium framed notice board with tamperproof doors. 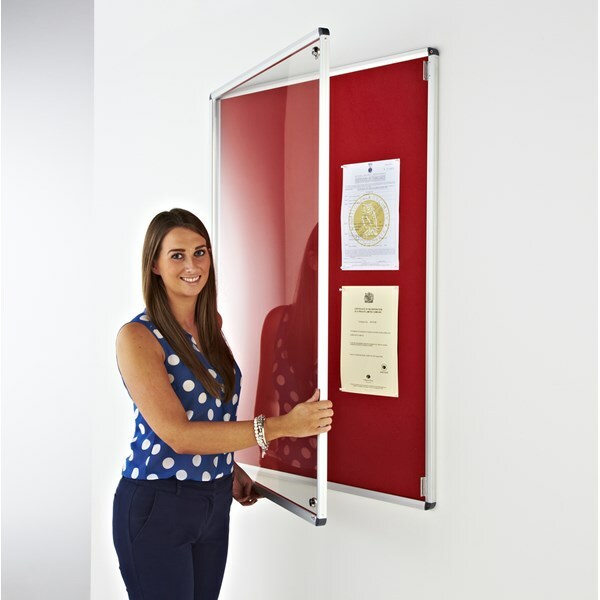 Satin Silver anodised aluminium frame with rounded corners. The doors have a key locking system. The boards overall thickness is 35mm. The board has a quality pin board back covered in a felt fabric of your choice which is rated to BS 476 Part 7 Class 1 and BS5867 Part 2. The notice boards are supplied with a wall fixing kit.